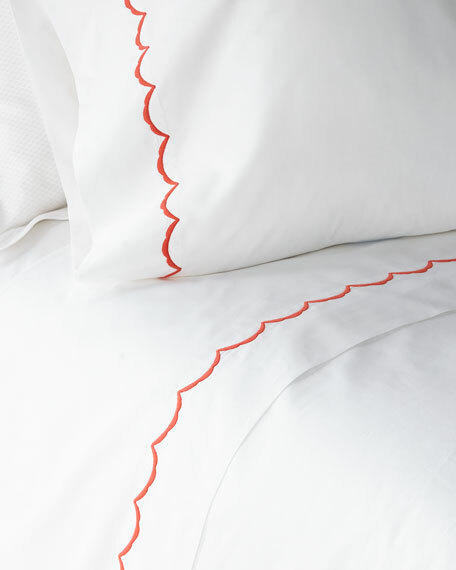 Sheet set finished in scalloped embroidery. Set includes: flat sheet, fitted sheet, and pillowcase. 350-thread count long staple cotton.